Horse Trekking to Khagiin Khar Nuur (Lake) & Khan Khentii Protected Area. 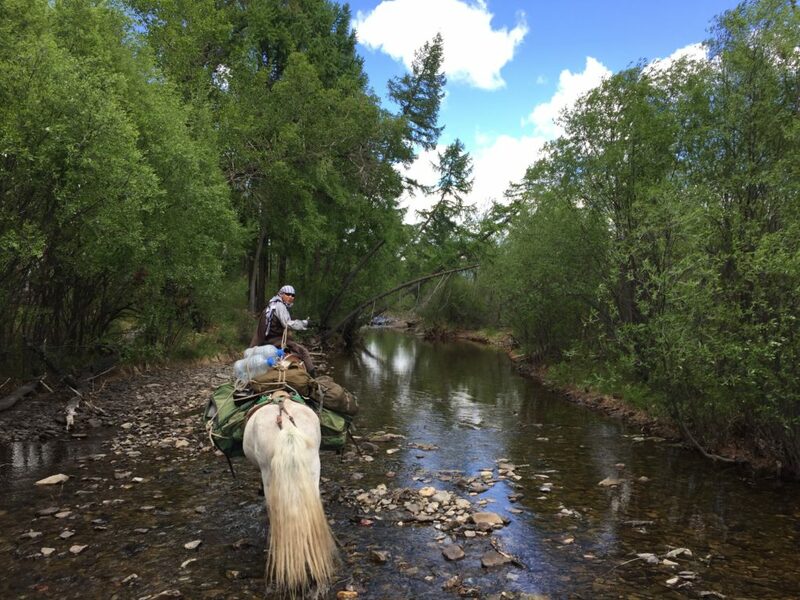 This horse trek is totally off road and the gear will be carried by a pack horse. Be ready for a total immersion in nature. The trek will start in Terelj national park from which you will ride to the Khan Khentii Protected Area. Khan Khentii comprises over 1.2 milion hectares of land and is almost inhabited by humans. Plus, hunting in this region is prohibited which makes it the perfect place for wildlife and endangered species such as the brown bear to live. On the way you will stop to the remote Khagiin Khar Nuur, also called Black Lake. This 20m deep glacial lake is located within the Khentii mountains and is surrounded by forest. It is hence the best place to feel in harmony with nature. Therefore one day will be totally dedicated to the visit of the surroundings of this beautiful lake. Each day, you will ride about 30 to 40km. Part of the track might be difficult, especially when riding in hidden trails such as muddy meadows or crossing rivers. But don’t worry, some route will be much easier with dried valleys and forested mountains. Every evening you will set your tents in beautiful spots, free of people and spend some time playing cards or singing around the fire with your guides. Day 2-3. Khavirga Pass & Altan Ulgii Mountains. Day 4. Khagiin Khar Nuur. Day 5. Leisure Day at Lake. Day 6 – 7. Jalman Mountain, Khan Khentii National park. Day 8 – 9. Terelj & Tuul River Basin. Day 10. Terelj national park. Day 1. Terelj National Park & Start Horse Riding. 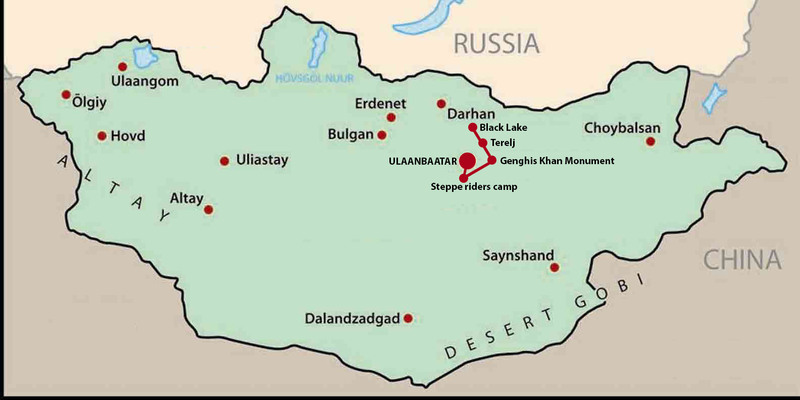 We will start our journey from Stepperider’s camp in the morning and travel to Terelj national park by car. Once in Terelj we will pack our horses and begin our trek heading towards the East Bayan mountain. Stay overnight at tent. B+L+D. Day 2-3. Horse Riding to Khavirga Pass & Altan Ulgii Mountains. 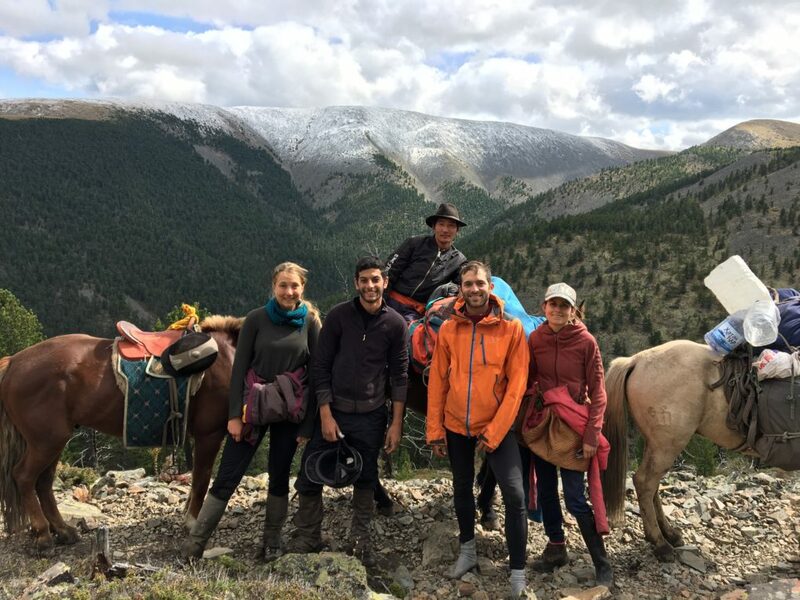 For two days, we will ride across the Khavirga mount pass and the mount Altan Ulgii which mark off the start of the Khentii strictly protected area. The route condition will be difficult riding through marsh, bog and mud. We will enjoy riding in the forested mountain zones. Stay overnight in tents. B+L+D. Day 4. Horse Riding to Khagiin Khar Nuur. Today we will continue our trek through the beautiful nature scenery and we will cross rivers and marsh meadows. At the end of the day we will reach the Khagiin Khar Nuur, a 20m-deep glacial lake surrounded by larch and pine tree forested mountain. Stay overnight in tents under the starry night. B+L+D. It is your leisure day. Go hiking or riding around the lake and take some time to relax and enjoy this beautiful place. Stay overnight in tents, at the bank of the lake. B+L+D. Day 6 – 7. Horse Riding Way Back to Jalman Mountain, Khan Khenty National park. In the morning, we will start our way back to Terelj national park. We will ride through beautiful mountains, muddy trails, forests and green grassland. On the way we will stop overnight at the splendid mount Jalman. Day 8 – 9. Horse Riding to Terelj & Tuul River Basin. We will ride those two days in the Terelj and Tuul river’s valley. The Tuul river is one of Mongolia’s longest rivers. We will enjoy some galloping in the open area. Day 10. Return back to Terelj national park, On Horse Back. Today is our last day to riding, along the river in the national park. 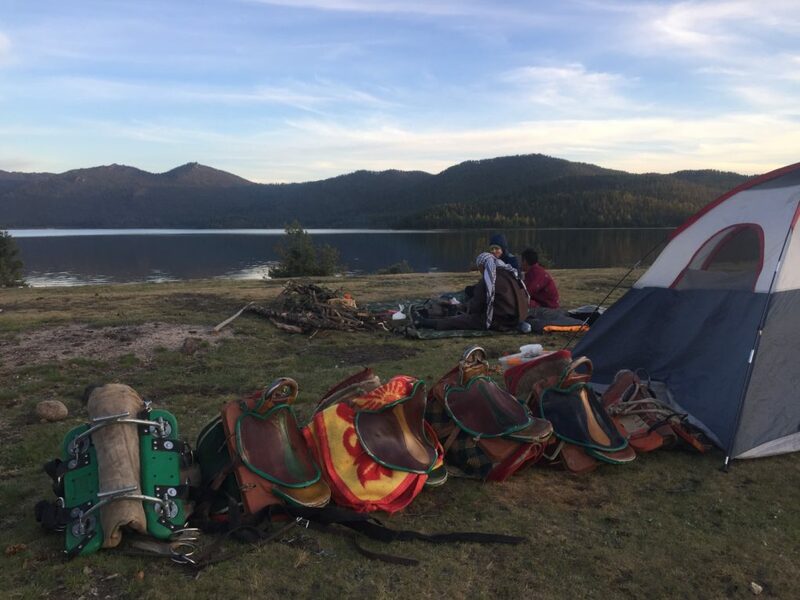 We will arrive at our base horse riding camp and our intense adventure will be over. Transfer back to the Stepperiders camp and stay overnight. End services. B+L+D.